Elvis and Elfabelle ukelele Christmas sing along. 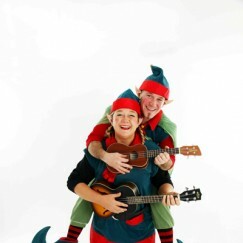 Cheeky Elves Elfis and Elfabell dream of being pop stars so Santa has kindly given them some time off to spread the Christmas love, take up their musical careers and make it to the big time starting in a shopping centre near you. It’s their first gig and they are wonderfully over-excited. 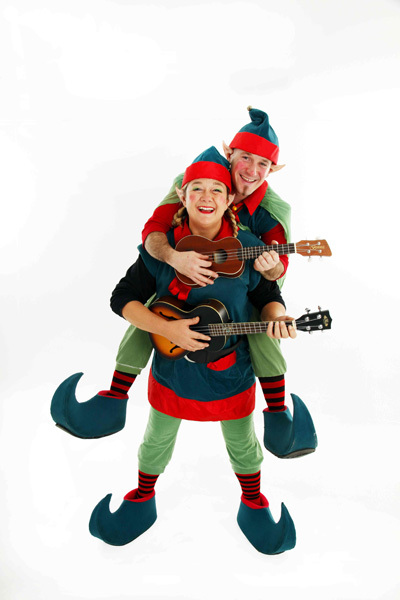 The cheery star-struck comedy pair make everyone laugh and build excitement for Christmas with their fun and silly range of Christmas songs. Playing multiple instruments including- ukulele, guitar, swannie whistle, jingle bells, shaky satsuma and singing lovely harmonies. 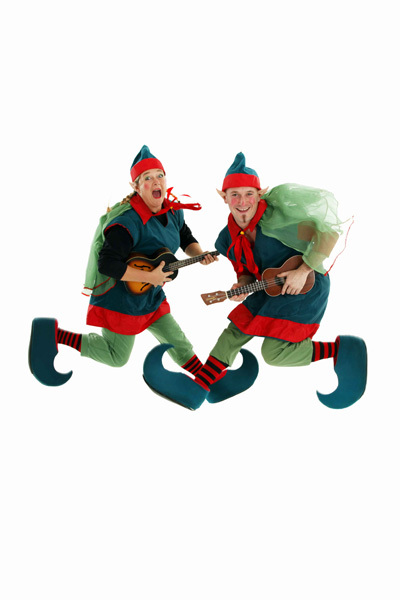 Forget the annoying repetitive Christmas soundtrack, have fun with interactive Elfis and Elfabell, who serenade unwitting shoppers and cheer up their shopping experience. Intimate and individual performances of top Christmas hits like Last Christmas, Santa Baby, White Christmas (complete with snow! ), and Winter Wonderland, are just a few in their repertoire. They sing, they dance, they make you laugh, they encourage everyone to join in an Elfy sing-a-long and have a whole lot a fun. 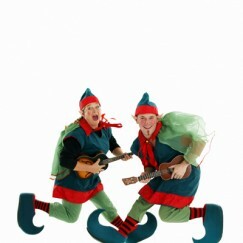 This act is a walkabout and can be booked with or without a chorus of 2 or 3 dancing elves.